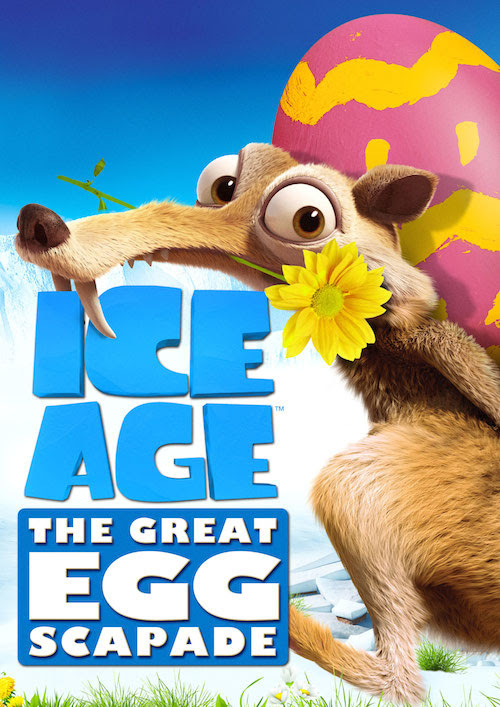 Manny, Sid, and Diego put a prehistoric spin on the world's first Easter egg hunt in the all-new animated special "Ice Age: The Great Egg-scapade" premiering Sunday, March 20th on FOX and available on Digital HD Monday, March 21st. Let the Easter festivities begin! 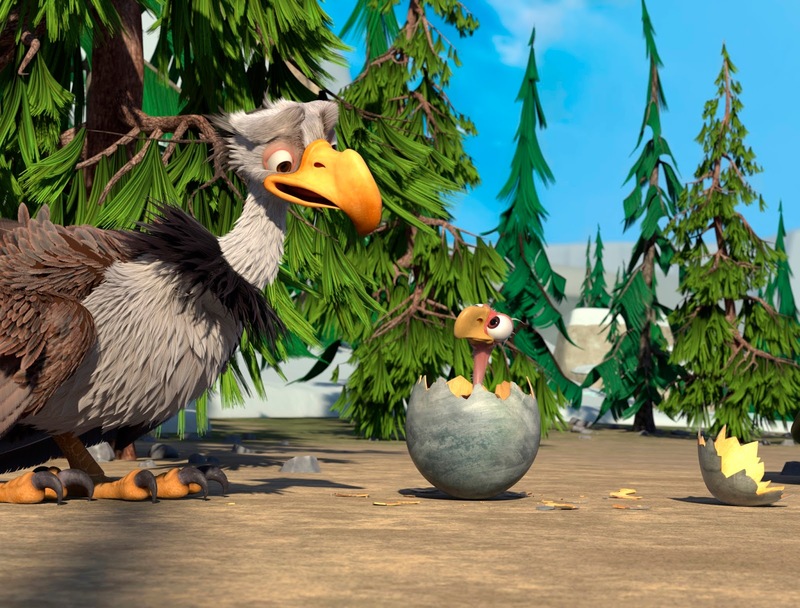 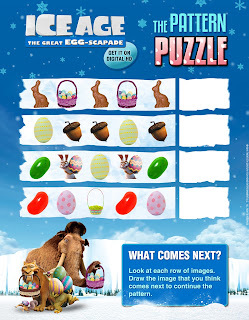 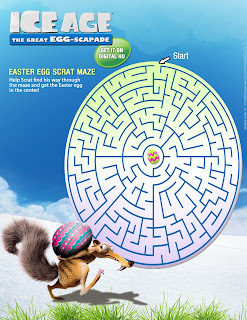 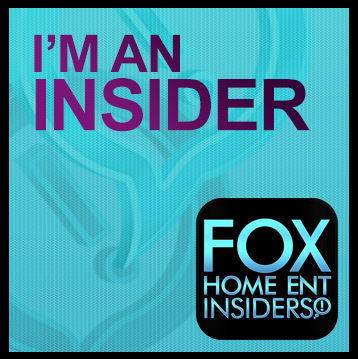 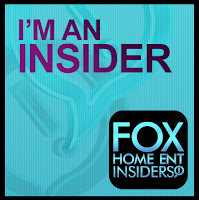 Fox puts a prehistoric spin on the world's first Easter egg hunt in the all-new animated special "Ice Age: The Great Egg-scapade"
In ICE AGE: THE GREAT EGG-SCAPADE, harried mom Ethel (Taraji P. Henson, EMPIRE) entrusts her precious, soon-to-hatch egg to Sid (John Leguizamo). 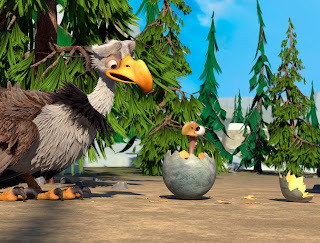 When she recommends him to her neighbors – condor mom (Wendy Williams), Cholly Bear (Gabriel Iglesias) and Gladys Glypto (Lili Estefan) – business booms at his new egg-sitting service. However, dastardly pirate bunny Squint (Seth Green, FAMILY GUY), who is seeking revenge on the ICE AGE gang, steals, camouflages and hides all the eggs unknowingly creating the first ever Easter egg hunt! 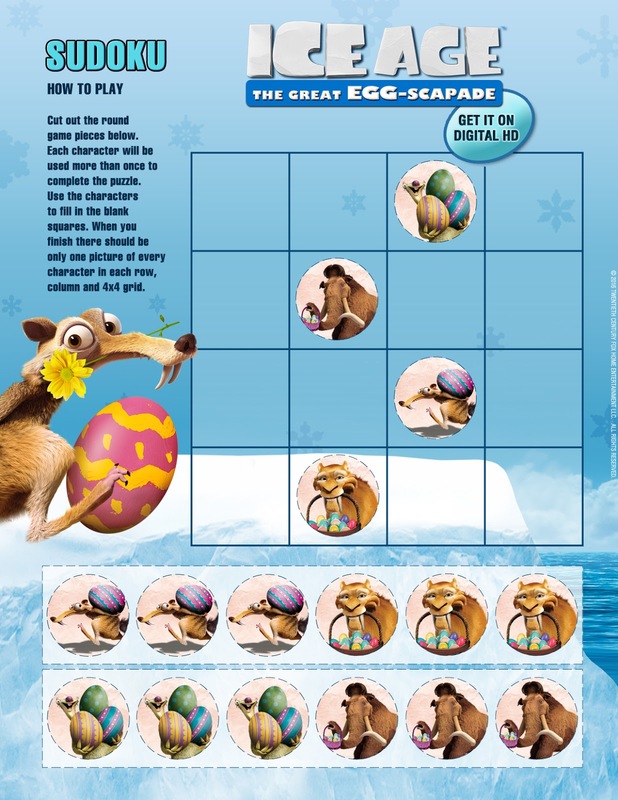 During the special, don’t miss an exclusive sneak peek at the upcoming, all-new animated feature film “Ice Age: Collision Course,” premiering in theaters, Friday, July 22, 2016. Check out these fun printables to get you ready for the premier!